Opening of the "Eco-Techno-Park Volma"
Sergej Rumas, Prime Minister of the Republic of Belarus and EU Ambassador Andrea Wikotrin personally opened the new "Eco-Techno-Park Volma" training centre on November 6th. The centre is independent of institutes and addresses a broad spectrum of students from colleges and universities to general basic and further vocational training. Lucas-Nülle's systems are in use throughout the whole institute. Particularly in the field of power engineering, the new center is unique in Belarus. Accompanied by the Ministers of Education, Energy and Construction, the Prime Minister highlighted the successful cooperation with the EU, which had supported the Belarusian government with the construction of the centre. The Centre pursues a clear concept. While the students of the universities are to develop the systems with the help of modern IT technology, the students of the colleges take care of the commissioning. The students from institutes for basic vocational education eventually learn how to operate them. 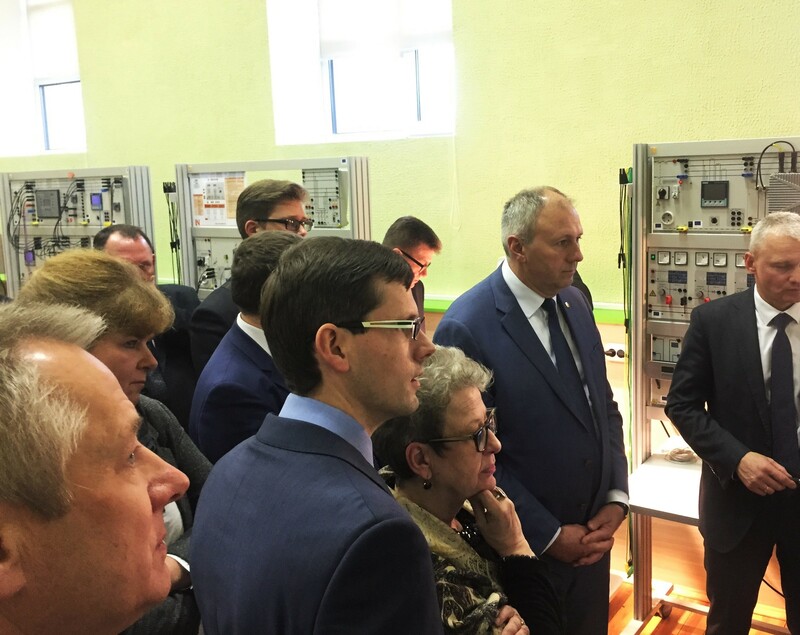 In Belarus the state press agency "Telegraf Belarus" (BELTA) reported in detail about the opening, saying: "In the UniTrain laboratories the students learn important basics in electrical engineering. The smart home laboratory is equipped with modern systems for hazard alarm technology, installation technology, lighting, air-conditioning technology and building automation. In the field of power engineering, the training systems cover renewable energies, electrical systems and smart grids. Lucas-Nülle GmbH has equipped all these laboratories with modern training systems."